Mortgage financing of 1.5 Mn to 5 Mn will give a strong strong push to construction industry. Believe me, its going to rock it! I will be surprised if anybody who’s got a land, does not utilize it. So, it will do exceptionally well to the construction industry, means more buying activity and hike in prices of developed and ready to build areas. Gawadar is the Future. The port, with China at its back, and the backbone expressway for Pakistan will prove to be a monumental project. And this time China won’t let it go down. We’ll see the property ads for Gawadar cropping up again like they did in Musharraf’s time but with a stronger force. Big investors will jump to grab the shares there; it’s not dust there, its gold dust! NTN Registration Mandatory, if becomes part of property transactions, will shed off quickies and will deflate the thick air of the market. Increase in tax on bank transactions of more than Rs 50,000 is somewhat discouraging for the investors. Road networks and development will offer more choices to the investors since a distant locality will now mean a ‘peaceful community’. Sigh of relief for small investors who could not afford to buy properties in downtown. Alternate-Investments/Genuine-Businesses will revive gradually. Major chunk of current real estate investors are not realtors, neither end users but businessmen who are forced to take up real estate investment as an asylum against growing inflation with nothing else available to do with extreme energy crisis. So I believe, people will return to their businesses and be independent of real estate dealers commanding their destiny in the market, as these innocent people had no other option but to trust them. 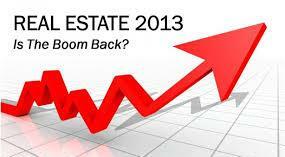 Real Estate is performing well but I suspect if we’ll see the same level of growth as that seen in 2012 & early 2013. It has to consolidate and move steadily now… there could be hiccups too but things are trending to the positive side. I see a magnificent growth in construction industry, leading to higher prices in developed areas, Increased buying in “To be commissioned” suburban properties along future roads, and stabilization of prices in un-developed real estate. A piece of advice is “Learn from others mistakes” and we all have seen people losing fortunes in 2008 meltdown coz of their speculation. So please stay away from unusually hyped up properties. Always prefer to buy something genuine, legitimate and physically existing. Thanks for reading, would love to see further contribution on the interpretation of budget and current state of affairs in real estate. P.S. The budget is not a perfect one as always, not friendly for poor in short term. Also there is a lack of attention on overseas Pakistanis, who covered up most of the deficit for last few years and were the major investors in real estate sector too.